Time to share shadows found - this weekly meme has become an addiction - even on holidays! Here are a few more shadow shots from Lake George, NY. Be sure to check here for shadows from around the world. Time to return to my weekly sharing - Art on Friday. It has been so good to return to (almost) daily art making. 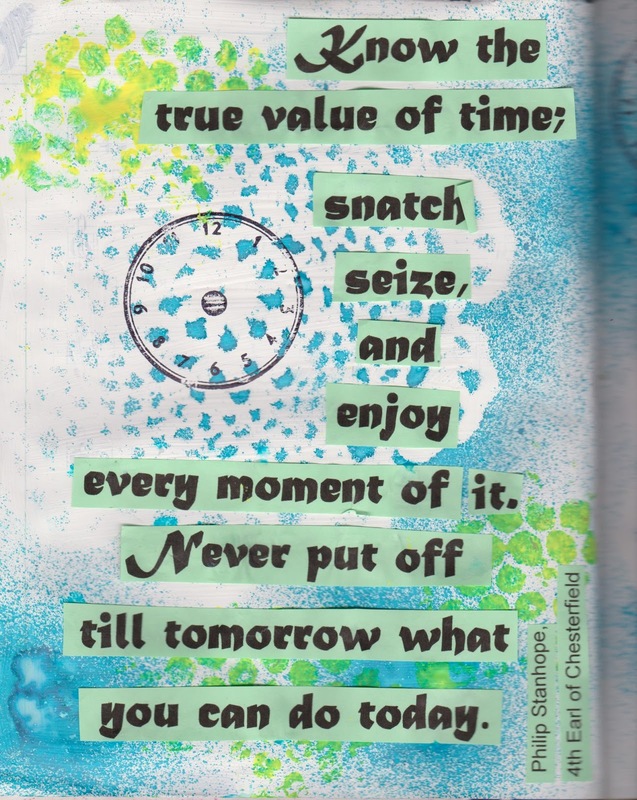 This week I am joining in at Art Journal Journey where the month long theme is "TIME". Today the skies have been a gloomy gray. Yesterday was much the same, with even a bit of rain. So I am sharing a few skies from our trip to lake George in early August. Had to share a couple from the fireworks over the lake, in Shephard's Park - which take place every Thursday during the summer. Be sure to check here to see awesome skies from around the world. At "Little Things Thursday", the challenge is to share those small things that mean so much. As I wandered in our yard today, I finally caught the morning glories in full bloom. Usually after lunch they're gone, so I was happy to see them. The theme this week at "Thursday Challenge" is "Seat" - something you can sit on. As I looked at the flowers and checked for tomatoes, my eyes fell on the willow chair I had made over 15 years ago. I still have the scar from when I hit a knot on a branch and sliced my thumb.From cutting the willow branches, to sawing the pieces, to nailing the chair together, it was a special challenge. 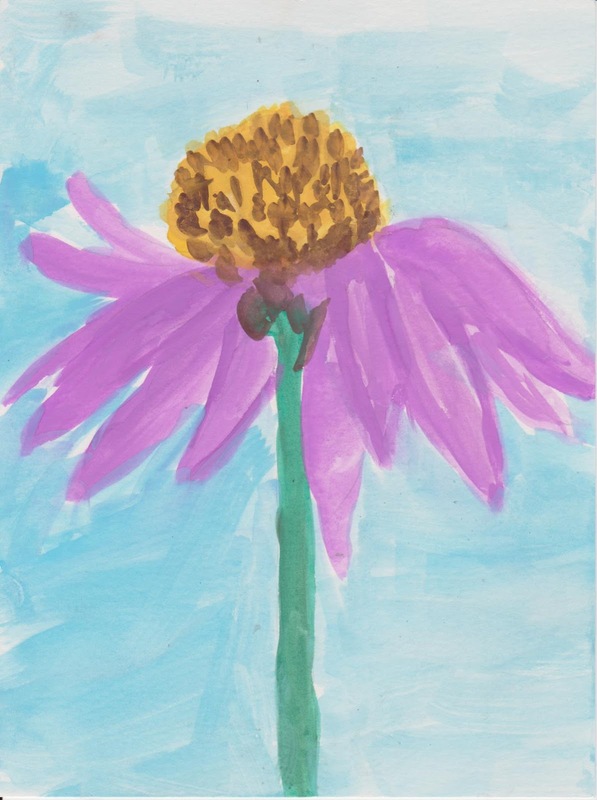 This week at ABC Wednesday, the letter of focus is G.
G is for garden - which is full of beautiful, colourful flowers at this time of year. WOYWW is the fun meme hosted by Julie at "Stamping Ground" - Where we share our work spaces and what we are working on this week. The garden theme was inspired by ABC Wednesday for "G" and by the many photos I have taken of mine and others' gardens. I just had fun playing with colour and design. 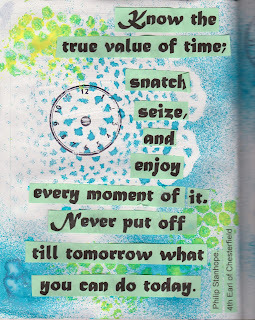 I chose a quote by Audrey Hepburn to complete the spread, one I've always been drawn to. We most definitely need to believe in our tomorrows! Having taken a long blog break, it is time to return to a favourite challenge - one that continues even on holiday. While in Lake George and Saratoga Springs I was able to capture a number of shadows - once you start noticing, you can't stop! Photographing skies,flowers, shadows and water is addictive. I have missed joining in a number of photo challenges the past couple of months. Here are a few skies from the past week or so. So much drama in the sky! Love those big white clouds especially. At "Little Things Thursday", the challenges is to share those small things that mean so much. I missed having robins build a nest on our porch this year, but cardinal built one near by and yesterday, I saw these two birds on our walkway. The theme at "Thursday Challenge is "organized"
These nautical knots are very well organized! 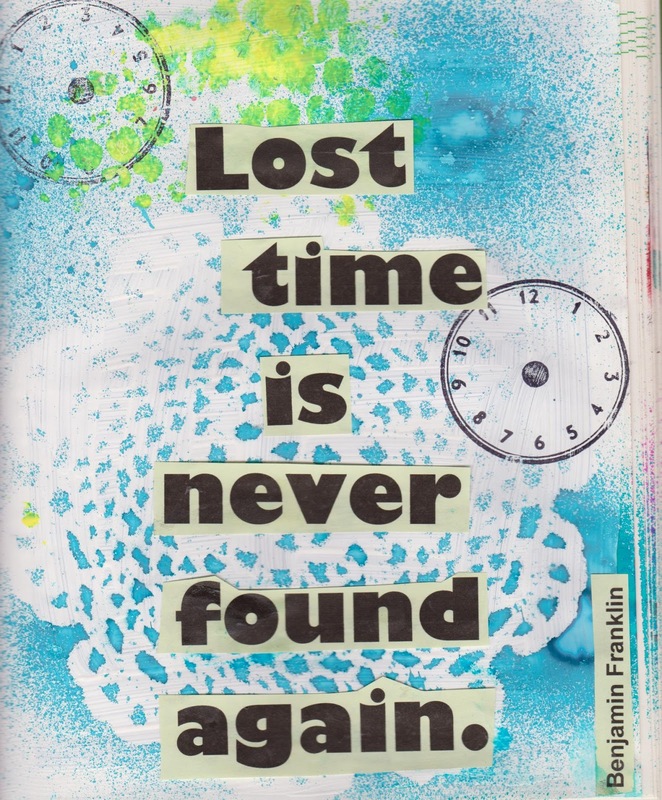 Over a month break from blogging and I am ready to return. I needed the break but I have missed the challenges and the daily contact here. I have done little art or writing but now I feel refreshed and ready to create. last week we spent a few days in Lake George - our yearly trip to the area, especially Saratoga Springs. On a Thursday night we found ourselves in Shephard Park watching the Weekly fireworks. What a show! It is appropriate to share one of my photos of fireworks as this week at ABC Wednesday, the letter of the week is "F". I am joining in the 17th round a wee bit late, but better late than never"
I have decided this round to start with a photo and then create an art piece for that photo. F is for flowers. There were so many lovely flowers in Lake George. Here are some of my favourites. I then created a watercolour of a single flower today. I am returning as well to WOYWW - the meme hosted by Julie at "Stamping Ground" - where we are asked to share what we are working on and what's on our workspaces. Here's my dining room table - where I was working this afternoon.